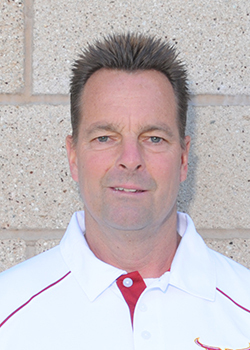 Cal State San Bernardino named Jim Maier as the new Coyotes’ softball coach on Dec. 17. The move was made following the resignation of Tacy Duncan, who left after nine seasons with the Coyotes to accept an assistant principal’s position at Chemawa Middle School. Maier is coming off a one-year stint as the Dean of Students and the softball coach of Santa Fe Springs St. Paul High School, where he had coached previously. He named as California’s Coach of the Year after leading the program to 2014 CIF and state softball titles. In between his two terms as the St. Paul coach, he was at the helm of the Cal State Dominguez Hills Toros until 2013, ending his 13-year term. 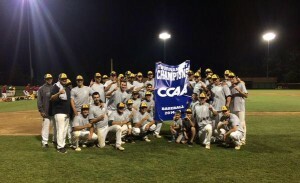 During his tenure with the Toros, Maier led the team to an overall record of 460-273-2 while guiding the team to two CCAA championships (2005 and 2012). The Toros also appeared in the NCAA Tournament seven times and advanced to the NCAA Sweet Sixteen in both 2012 and 2013. Maier believes that the Coyotes are in place to make something special happen for the university and its surrounding community. Forward Jada Blackwell lead the Cal Poly Pomona Broncos (5-2, 3-0) to victory over the UC San Diego Tritons, 82-71, in CCAA play. Blackwell scored a game-high 29 points for the Broncos and collected 11 rebounds for a double-double in the victory. Broncos center Mary Williams also put together a double-double performance, scoring 12 points and collecting 10 rebounds of her own against the Tritons (3-5, 1-2). The Broncos (5-2, 3-0) will not play again until Dec. 21 at 2 p.m. on the road against the Tritons in La Jolla at the RIMAC Arena.